Trail-blazing painter Degard (FRSA), is chairing a unique conversation between leading thinkers in the normally very separate worlds, of Theology, Physics, Biology, Psychology, Esotericism, and the Arts at the Royal Society this coming March. This symposium entitled, ‘Unifying the arts, science and the divine…...about time too!’ will go ahead at RSA House, 8 John Adam Street, London, WC2N 6EZ from 2-5PM Wednesday, 22nd March 2017. Tim Balogun, Graduate of the Royal College of Art, also has directorships of three renowned UK-based creative organisations including GoldDust Arts, Community Focus, and Sculpture at Wat Tyler. He has exhibited his paintings all over the world. David Lorimer, Programme Director of the Scientific & Medical Network (SMN) and Executive Vice-President of the Wrekin Trust – a charity concerned with adult spiritual education. Reverend Professor June Boyce-Tillman MBE Professor of Applied Music at The University of Winchester and Extraordinary Professor at North-West University Potchefstroom, South Africa. 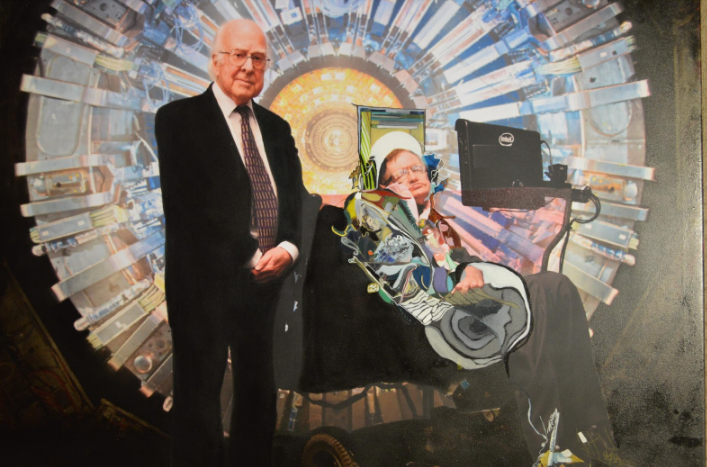 Degard FRSA has created a collection of more than 100 paintings of iconic individuals called ‘an aetheric collection’. This series of paintings captures the Aura Pure (AP). The AP in Degard’s work she hopes will unlock a keystone to our understanding of consciousness. Degard has also recently self-published her book entitled ‘The First Book of Aethericism’ which articulates this new movement - uniting the arts, science and the divine. This book contains high quality prints of paintings by Degard and descriptions of the new movement to be called Aethericism unless the Symposium decides otherwise. A website showing the paintings can be found at www.aethericism.com.